The relentless onslaught of fake debt fraud began in 2012. Millions of Americans are aggressively hassled and harassed by phone, and sometimes by email, to pay debts they don’t owe. The scammers illegally buy tons of personal info gleaned from hacked accounts and old, paid-off debt statements. The info is deviously repackaged to make it look like some debts are still outstanding. Some victims fall for the scam because they are used to getting calls about legitimate debts, while others are so alarmed by their known personal information, they believe the collector must be authentic. The US Inspector General estimates that between 2013 and 2017 more than two million Americans have been called by fake IRS agents. At least 10,000 victims unnecessarily paid $55 million. According to the US Federal Reserve, Americans are late in paying more than $600 billion in bills. Some estimates put the number at 10% of Americans at any given time owe legitimate debt. The city of Buffalo is the prime center for the legit collections industry. According to the Bureau of Labor Statistics, there are more debt collectors than construction workers or bartenders in the fine home of the Bills and Sabres. 1) The debt collector threatens you with criminal charges. Legitimate debt collectors should not claim that they'll have you arrested. 2) The debt collector refuses to give you information about your debt or is trying to collect a debt you do not recognize. You have certain rights to ask a debt collector about the debt, including when you don't believe you owe the debt. Ask for an explanation in writing before you pay. 3) The debt collector refuses to give you a mailing address or phone number. 4) The debt collector asks you for sensitive personal financial information. You should never provide anyone with your personal financial information unless you are sure they're legitimate. Attorney William Howard with the law firm of Morgan & Morgan warns that “Just like any other volume business they are calling thousands of people and they are looking for the vulnerable and the gullible.” If it doesn’t sound like they are going to get any money from you, they’re more likely to move onto someone else. Strategy #2: Ask for written verification. If you have defaulted on a payday loan and are worried this could be a real attempt to collect a debt, insist the collector put information about the debt in writing. 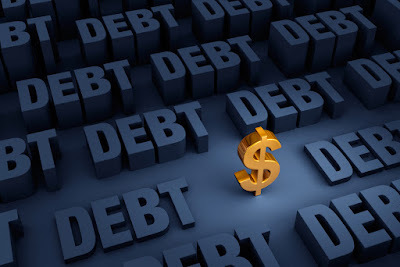 This is your right under the federal Fair Debt Collection Practices Act and legitimate debt collectors know they must comply, explains Howard. Don’t settle for an email confirmation. And don’t be intimidated if the caller threatens you saying that there is no time for that because you’ll be arrested today if you don’t pay, for example. “You won’t be arrested,” says Howard. Scam Alert: Fake payday loan collectors target previous payday loan customers and threaten jail time and more to get victims to pay debts they don’t owe. Learn how to spot the red flags and follow these tips to avoid becoming a victim of a fake payday loan debt collection scam.